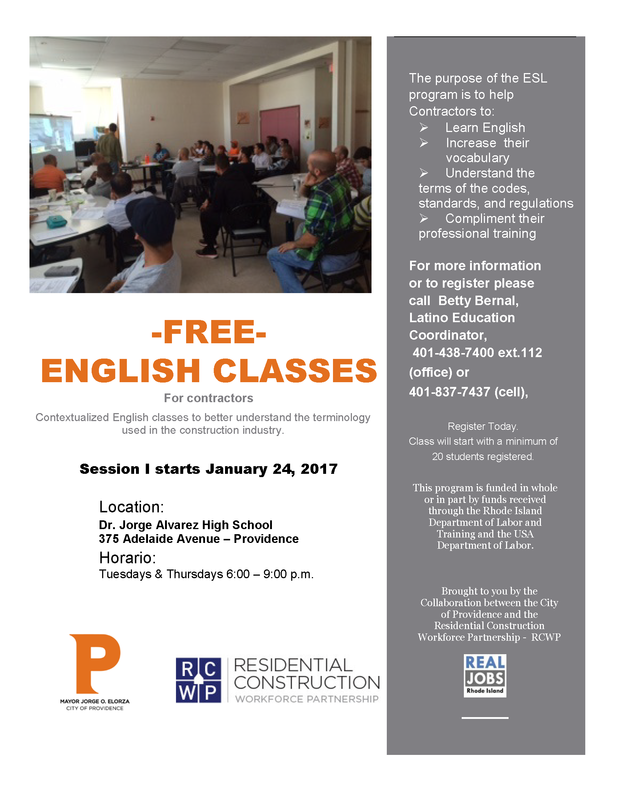 FREE Courses for your Spanish speaking employees working in Residential Construction, and for anyone looking to start or grow their career in Residential Construction. Brought to you by the Residential Construction Workforce Partnership and a grant from Real Jobs RI. Contextualized English classes to better understand the terminology used in the construction industry. Loking for a job or training to prepare for the workforce?